Aldi Personal Injury Claims Guide – How To Claim Compensation For An Accident In Aldi Supermarket? If you have been involved in an accident in Aldi then you may wish to seek compensation for the injuries you have sustained. Advice.co.uk can give you the information you need inorder to get the compensation that you are entitled to following the pain and suffering you have experienced as a result of your injuries, and any financial losses you have incurred due to an accident that was not your fault. Please call us today to find out more or to get advice to help you launch your claim on 0161 696 9685. Please read on to find out more about claiming for an accident in Aldi. What Is An Aldi Supermarket Accident? What Can My Aldi Injury Claim Include? I Slipped At Aldi, Can I Claim? Can I Claim For Slipping On A Wet Floor In Aldi? Can I Claim For An Accident In An Aldi Car Park? Can I Claim For Being Hurt By Falling Objects? Can I Claim For Injuries Caused By Broken Shop Fixtures? Can I Claim For Injuries Caused By An Aldi Supermarket Trolley? I Have Had A Work Place Accident While Working In Aldi, Can I Claim? How Long Do I Have To Make A Supermarket Accident Claim? What Do I Need To Do To Start A Claim For Injuries Caused In An Aldi? Why Claim For An Accident In A Supermarket With Our Team? Going to the supermarket is a normal everyday activity that most of us do not consider to be hazardous. You may, therefore, be surprised to learn that there could be hazards when visiting different supermarkets. There are a number of ways in which you could become injured whilst embarking on your weekly shop. You may slip and fall following a spillage in-store or trip due to an obstacle left in a walkway or be involved in a collision in the car park, you may suffer an injury following a shelving collapse or may even be harmed by your own shopping trolley. Luckily, due to the responsibility that supermarkets and food stores have to keep its shoppers and workers safe there risk may be low. However there is a strong chance that you will be able to claim compensation following an accident in a supermarket if you have become injured due to their negligence. Advice.co.uk are here to help you. With many years of experience in this type of case, we will be delighted to help furnish you with the advice you need to get the payout you’re entitled to. If you have been injured whilst on the premises of Aldi then this constitutes an accident at Aldi. This can involve a whole variety of different accidents. It could be an Aldi slip and fall, a trolley injury, an injury in the car park or even an Aldi work injury if you are an employee of the company. If you have been harmed, whether it be a minor injury or something more serious, and have perhaps suffered a financial loss as a result of your injuries and the accident was not your fault then you could be eligible to launch a personal injury case. You may find our alternative to a personal injury claims calculator helpful in making an estimate of the payout you may expect to receive following your personal injury claim. There are various types of compensation you can claim following an accident in Aldi. This includes compensation for quantifiable financial losses as well as compensation which takes into account the emotional and psychological trauma caused by the event. The two main types of compensation are called general and special damages. Following an injury, you are likely to suffer a degree of pain and discomfort. Your general damages payout will compensate you for this physical suffering. The amount of money that you will receive will depend on the seriousness of your injury. Some incidents, particularly those that have long-term implications may cause certain types of mental illness, including anxiety, depression and even post-traumatic stress disorder. If you have been liable to pay any medical costs as a result of your supermarket injury then you are entitled to claim these back. This can include the cost of medication, any post injury therapy such as physiotherapy or any private care costs that you have been required to pay. You are eligible to make a claim for travel costs following an accident in Aldi if it was due to negligence. This can include the cost of petrol or transport to and from crucial meetings such as hospital appointments. Following your injuries you may have been unable to work for a period of time. You can claim compensation to cover the money that you would otherwise have earned whilst you were off sick recovering from your accident. 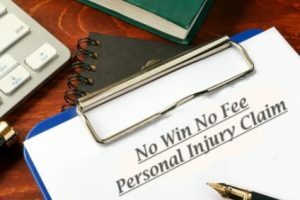 If your injuries were so severe that they could have implications for your long-term health and ability to continue working in your job then you can also make a claim for loss of future earnings to allow you a financial cushion to make up for the money that you are no longer able to earn. If following your supermarket or food store accident you have required help around the house to complete your day-to-day tasks then you can make a claim for damages to cover these costs. Food poisoning from a supermarket’s food which has been stored incorrectly, sold past its use-by date or some other reason leading to the growth of pathogenic bacteria. Damaged shelving with sharp edges that has led to lacerations. Trips and falls caused by obstacles in the aisles such as crates and boxes. Slips caused by spillages that have not been cleaned up. Shelves stacked inappropriately leading to falling objects. Manual handling incidents suffered by employees who have been asked to lift heavy items. This is not an exhaustive list and if you have been injured in any other way at Aldi then please speak to Advice.co.uk today to find out whether you may have a claim. In a busy supermarket, it is a constant challenge for employees to keep all areas free from slip and trip hazards. There are many causes of slips and falls including broken steps and handrails, wet floors, obstacles in a walkway or a poorly lit or maintained car park or pavement. If you have been injured as a result of a slip or fall then you may be able to make a slipping in a supermarket claim whether you are a customer or an employee. If you have slipped on a wet floor caused by cleaning or a spillage then Advice.co.uk could help you to make the claim. Wet floors should be clearly marked to warn shoppers and employees of the hazard. If Aldi have failed to warn of the wet floor within a specific time frame then you have a good chance of being successful in your claim. Slips trips and falls are one of the most common complaints when it comes to making a claim against a supermarket. It can be tricky when it comes to wet floors as the supermarket have a responsibility to clean up any spillages. However, the cleaning process also causes a wet and slippery floor which poses a hazard. Staff have a responsibility to clean up a spillage within a ‘reasonable’ amount of time but must also put up a hazard sign following the cleaning process. In order to prove liability you need to show that the store has acted negligently which can sometimes be tricky due to the vague language of responsibility. This is where experienced personal injury solicitors can help. They have dealt with many cases similar to this and will work for you to identify whether or not the store was at fault. Call Advice.co.uk and we can put you in touch with lawyers that can help. You are well within your rights to make a claim for an injury that you sustained in an Aldi car park if it is deemed that they have been at fault. Car parks are often busy places with many people coming and going. A brief lapse in concentration can easily cause an accident between two cars. If you are hit by another car through no fault of your own then it is likely that you will be eligible to claim compensation for a road traffic accident if you are injured. Likewise, if you experience a slip or a trip due to the fact that a supermarket has not been maintaining their car park well then you may be able to make a claim against the supermarket. It is not always obvious who is to blame in a busy environment like a car park, therefore we recommend that you read on to find out what you should do after you have sustained an injury at an Aldi supermarket. We then suggest that you contact a personal injury lawyer who can assist you in establishing negligence and launching a successful personal injury claim. Employees in supermarkets always seem to be busy, stacking shelves quickly and moving onto the next task. However, being so busy at work can lead to a lack of attention to detail. An example of this is failing to stack shelving properly, stacking products too high or failing to notice when a shelf of products looks likely to overbalance. If a shelf or a display of products collapses on top of you then this could lead to some serious injuries. In particular, you run the risk of sustaining a head injury which could have severe implications. As a customer and visitor to Aldi premises, the company owes you a duty of care to safeguard your wellbeing whilst in and around the shop. In order to fulfil this duty of care, supermarkets should be checking and maintaining shelving and stock regularly. If you were harmed following a shelf collapse then you could be able to make a claim against the supermarket for your injuries. We can help you prove that the supermarket failed in their duty of care to keep you safe. Contact Advice.co.uk for more information. If a supermarket has failed to keep the fixtures and fittings of the shop in good repair, posing a risk to customers and employees then they could be held responsible if you were harmed as a result. Regular inspections and maintenance should take place to ensure that the shop is a safe place for shoppers and workers. If you have been harmed as a result of broken shop fixtures then you could be eligible to claim the compensation you deserve for the pain and suffering you experience as a result. Although a trolley appears to be a basic tool for collecting shopping and moving it around, accidents involving shopping trolleys can be surprisingly serious. Collision with a trolley or having a trolley fall on you could cause severe injuries. There could be cases involving shoppers falling on slippery floors and having their trolley land on top of them. Victims of this type of accident in supermarkets are likely to suffer bad bruising and possibly even fractures as well as head injuries. It is the responsibility of the supermarket to resolve spillages promptly and to ensure that shopping trolleys are all in good safe working order. We assume that any food we buy from a reputable retailer will be fit for us to eat, but recent scandals in the news may suggest otherwise. In particular, the media picked up on the fact that an amount of supermarket chicken contained high levels of the pathogen Campylobacter, even on the outside of the packaging. Campylobacter can cause serious food poisoning in individuals who come into contact with it. Symptoms can include vomiting, nausea, fever, stomach cramps and in serious cases even hospital admission. If food is not stored at the correct temperature or is sold past its use-by date then the risk of food poisoning increases. If you believe that you may have contracted campylobacter food poisoning from food purchased in a supermarket then you may be eligible to make a claim. Many people who have suffered an injury following an accident in Aldi may choose not to make a claim because they fear it will be too complex and time consuming. When you work with Advice.co.uk this is not the case. We have a team of friendly advisors who will be able to talk you through the process and help you understand exactly what is required. Advice.co.uk will take care of the hard work and you will find that there is actually very little for you to do. Your lawyer won’t require any money upfront thanks to their no win no fee agreements. They may ask you to attend another medical appointment in order to fully document your injuries, or find out how your injuries have exacerbated an existing condition and then once they have collected the relevant information from you they can bring your claim forward. Slips and Falls. Warehouses are full of boxes and pallets which can cause an obvious tripping hazard if they are not stored or tidied away properly. Tripping over an obstacle either in the shop or in the warehouse could cause an accident that leads to a successful personal injury claim. Cuts and lacerations. If you are not provided with appropriate personal protective equipment when using sharp objects and you injure yourself as a result then you could make a claim. We can match you up with an experienced injury at work solicitor who will maximise your chances of successfully claiming compensation against your employer. Clinical Negligence 3 years after the cause of the injury was discovered or knowledge of the injury itself. There are a number of steps you can take to improve your chances of making a successful claim against Aldi following your accident. Initially, you should seek medical advice. Documenting your injuries at the time of the accident will be crucial evidence at a later date. It will also help to ensure that you receive prompt treatment to have the best chance of recovery. We also recommend that you take photographs of the area in which you were injured as your lawyer may find this helpful later on. Try to write an account of what happened whilst it is still fresh in your mind. Over time your memory will fade and you may fail to recall some of the crucial details. Aim to get the contact details of any witnesses to the accident. Your solicitor may wish to contact them when you launch your case in order to verify some of the details. Be sure to inform the manager or supervisor of the store. Any accidents occurring in store should be recorded in the accident book. Contact a personal injury solicitor. Although you will usually have a 3-year personal injury claims time limit, the sooner you contact a claims advice service such as Advice.co.uk, the better your understanding of how quickly you need to act will be. A no win no fee agreement enables clients to make a claim without the anxiety of paying upfront for legal services. Within one of these types of claim, the solicitor will not ask you to pay any money upfront and with reputable lawyers you will not find any hidden costs. They work on the basis that if you win your case, their fee will be taken from your final payout and if for any reason your case is unsuccessful, you won’t owe a penny. One of the main reasons we believe that you will be glad you chose to work with Advice.co.uk is that we put client care at the heart of our business. We make your satisfaction our number one goal. We appreciate that you are going through a difficult time and do everything we can to reduce the burden on you. We do the hard work so that you don’t have to. Contact our friendly advisors today on 0161 696 9685 to find out more about how we can help you and make the claims process as easy as possible. If you have had an accident in Aldi and wish to launch your personal injury claim then contact Advice.co.uk today. 0161 696 9685 is the number to dial. We have a team of experienced personal injury advisors who will help you to win the compensation that you deserve. Falls in food establishments – Find out more from the HSE. Slipping – HSE – See what the HSE have to say about slips. Falls – The NHS – Falls – an overview.